Dogs Have a Hard Life in Bali – Do You Care Too? Our attention has recently been focussed on Indonesia with the issue of the live export of cattle and I have found this incredibly heart-breaking. But it seems Indonesia is not a great place for most animals. Take the dog for instance..
Late last year my partner and I went to Bali for the first time and while we enjoyed the holiday we felt disturbed to see so many stray dogs wandering the streets and beaches. It gave us comfort to see the dogs with a collar on because this was an indication that the dog was claimed by someone who at least fed it and hopefully took care of it. It was on this holiday that we took a half day trip to Ubud to visit the dog sanctuary, BARC. This stands for the Bali Adoption and Rehabilitation Centre.. and I vowed to help these dogs in whatever small way I could. United, we can truly make a difference to the lives of many of these beautiful dogs. While people can voice the opposition to the live cattle trade – you can feel helpless given that we must wait for politicians to make the final decisions to stop this vile trade even though we are stomping up and down for this evil trade to stop. But with the dogs, regular people like you and I can make a difference and our Australian dollar goes a long way in Bali . It took an artist trying to begin life in a new country to start the Bali Adoption and Rehabilitation Centre (BARC). Linda Buller is an expatriate Australian artist living in Ubud, Bali . For five years Linda was witnessing the awful situation dogs endure in Bali . During this time she was taking pups back to her humble abode to offer some food and love. Like so many others, Linda wished she could just shut her eyes and blank it all out. “As a painter, how does one paint in peace with so much pain and suffering around them?”, Linda said. “I am rebellious, rude, angry and stubborn, but my heart is full of love for humanity and our animal friends”, said Linda. “Tiny pups in Bali , and other abused homeless dogs there have no resources and no hope – their tails and heads hang down. They drag their sad bodies from rubbish bin to the gutters scavenging and hiding, cowering at a human presence – living their entire lives in fear, hunger and suspicion. The average life span for a dog in Bali is one to two years” it says on the BARC website. “Dogs on the street of Bali often suffer from broken legs. They are hit by cars in narrow streets and left to cope with the pain and the struggle to survive. Many dogs have manage – they have no fur and their skin becomes thick and scabby. The pain for them must seem unbearable. Female dogs are often dumped. They are not considered aggressive enough to become guard dogs. Most dogs die a slow and preventable death. Boiling water has been thrown at dogs to keep them away from kitchens“, the harsh truth continues. Recently it appears three puppies were thrown into the sea to drown and they all swam back to shore. Then they were thrown out again. A lady stopped after hearing the screaming and saved two of the pups – the third one did not make it back. “Most dog cringe at the sight of a human. We are the enemy, the abuser… They hide from detection, they live in fear, they have never known love or affection or been given food freely. When BARC get them usually their spirits have been broken. They hope the warm love, medications, warm blankets and a pause from the rigours of a very hostile world will mend each one. Slowly they do trust and respond affectionately to humans, said this kind and caring BARC volunteer”. Take this dog who was lying blissfully on the beach just the other day keeping away from tourists and minding his own business. A volunteer at BARC just happened to be close by when staff members from the Itan Sari Cafe in Jimbaran threw a large coconut at the dog who started to cry in pain . Please do NOT eat there if you visit Bali and- spread the word? (he had a collar and was vaccinated ). Even the manager, Nyoman Budiartha, and the staff thought if was funny and said they would continue to do this and threatened the people trying to help this poor dog. I tried to email these people but it bounced so I called them from Sydney! It was hard to communicate. I then sent a message care of this booking site. They need your help. Please follow balidogrefuge on Twitter and visit the the BARC website - together we can really help these poor darling dogs.. Incidentally while BARC was set up dogs they in fact help all animals in need – cats, monkeys .. you name it! Love your work BARC! All over the world, people undoubtedly love their dogs. But, in the recent economic downtown many have found it difficult to give their dog the proper care and attention that they deserve. Financial restrictions have meant an increase in animals not receiving regular veterinary care, due to the costs of treatment, many owners fail to insure their dogs, to cover such bills, and some dogs, unfortunately, do not receive even a basic standard of care on a daily basis, from feeding to grooming and protection from pests such as fleas. Often this is due to the owner simply not being able to afford to provide a proper standard of care, even though they clearly love their dogs. Those that suddenly realise their predicament try to do the right thing by their pets by giving them up, which has in turn led to an increase in Dog Rescue Homes and Re-Homing Centres being overwhelmed by the numbers of dogs that need help. The work that these centres and homes are doing is expensive, and now, highly pressurised due to the numbers of dogs that require help. Often, the dogs that come in require medical help for conditions brought on by poor diet, parasites, or simply need neutering. This costs the home dearly and they often need support, or help with fund-raising, as without them a great number of otherwise healthy dogs may end up being put to sleep unnecessarily. How Can You Help Save A Dog? Re-Homing – These rescue centres also need good, responsible, financially stable homes for their dogs to be re-homed in, so that they can live fulfilled lives in a loving, comfortable environment, but before you rush out and adopt a new dog, think very carefully about what that commitment entails, emotionally and financially and the impact it will have on your day-to-day life. Raise Awareness / Funds – Of course, adopting a dog may not be a possibility for many people, but you can help out your local re-homing and rescue centres by making donations, or helping with fund-raising, or simply by raising awareness of your local organisations. With today’s social media, Facebook, twitter and other such sites why not follow or add them to your lists, re-tweet their messages to your followers and friends, to help promote their work and possibly even aid to re-home a dog. If you have a website or a blog you could always add links or articles about your local home. Volunteer - Contact the home to see if they need any help. Many survive with the work of volunteers who assist with the daily care of the dogs. Dogs are our best friends, lets treat them as such. Even if you do not own a dog or wish to own a dog you can still help to make a dog’s life a happier one. Why not visit our website where you can sign up to receive our Newsletter with more information and advice as well as view our Gifts For Dog Lovers. 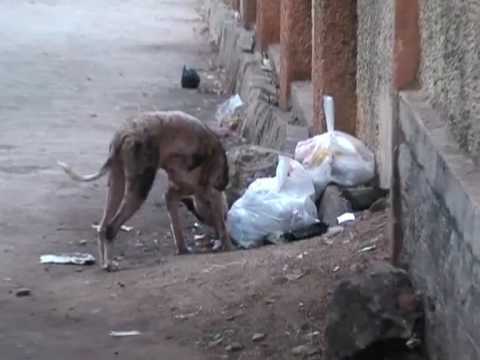 The very sad reality of stray dogs.. The plight of strays is one of the most visible animal welfare issues in the world today. Of the estimated 500 million dogs in the world, approximately 75% are strays. In many countries the majority of stray animals have been abandoned by their owners or are owned but allowed to roam freely. The unsupervised dogs then breed, resulting in unwanted puppies. WSPA works to provide education about responsible pet ownership: dog identification, vaccination and neutering means fewer animals will end up on the street. Our vision is that all countries will use effective and cruelty free methods of stray population management that address the roots of the problem. Animal shelters are facing serious budget problems as the economy continues to falter. Contributions are down at most shelters across the country and your local animal shelter is probably one of them. Most animals are basically defenseless and require human intervention for their well being. If you have any concern for animals there are things that you can do to support the welfare of animals in your local community. Remember how we treat our animals and pets says a lot about us as a society. One of the most important ways in which you can support your local animal shelter might surprise you. If you have pets take care are of them. Don’t create more problems for the animal shelter in your own community. Have your pet spayed or neutered to prevent unwanted and uncared for pets from roaming the streets or countryside where you live. If you are not part of the problem then you are already helping and have become part of the solution. Be responsible not only with your pets but in every area of your life. Personal responsibility is sorely lacking in todays culture and by taking care of animals that your are responsible for you are doing your part to alleviate the animal cruelty that exists in the country today. Many animal shelters would appreciate some free help. In fact many animal shelters rely on volunteer help as they are unable to hire individuals for many of the duties that must be performed at the animal shelter. Donating just a few hours of your time a week can lessen the burden on the regular staff and give the animals under their care some much needed tender loving care. It will be a rewarding experience for you as well as the animals give you their love and attention. Financial help is almost always needed as animal shelters are usually under funded to start with and are one of the first program to suffer when cutbacks are made. If you would like to help your local shelter financially but down have the cash to help out by using a little creativity you can usually come up with a way to support the shelter. Consider holding a bake or garage sale and let people know that all proceeds will go directly to the local shelter. Many people who otherwise would not participate in something are more then willing to help out when it is for a good cause. Use your imagination and you can probably come up with dozens of ways to help out financially. Animal shelters are one of the last lines of defense for abused and neglected animals. By doing your part to support this worthy cause you will helping those that share the planet with us but can’t speak for themselves and you will feel better about yourself knowing you are doing your part to make the world a better place. Unique ways to help your local animal shelter can be found at Animals Are Love. If you are an animal lover offering both your time and financial help can make a big difference in an animals life.